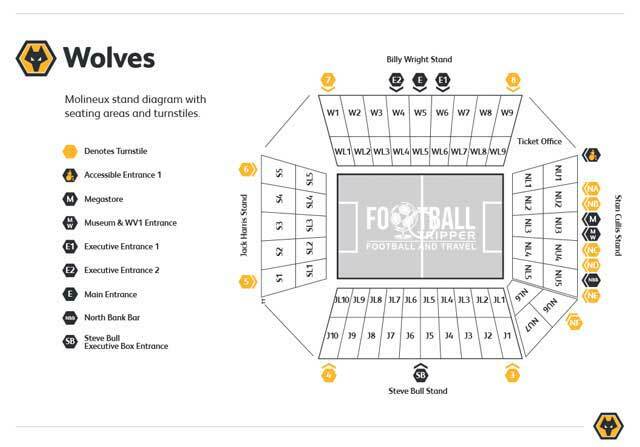 ​West Ham Fans are put into the Steve Bull Stand hopefully we will apply for the extra tickets and get housed into the Stan Cullis Corner. Having a bevvie can be a issue to close to the ground so stick to inside it can be a dodgy area! Been told The Stone House in the centre is fine.